THE FEARSOME SEPARATIST GENERAL STRIKES! 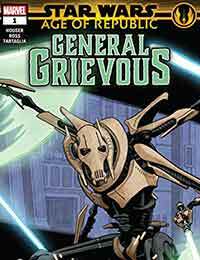 In his hunt to kill Jedi, GRIEVOUS stumbles across a power greater than he imagined. What secrets will the killer cyborg find inside a lost Jedi temple? Can Grievous strike a blow against the very FORCE itself?